I just got wind of a beautiful sculpture exhibit in Woodbridge, a town I really should visit more often. 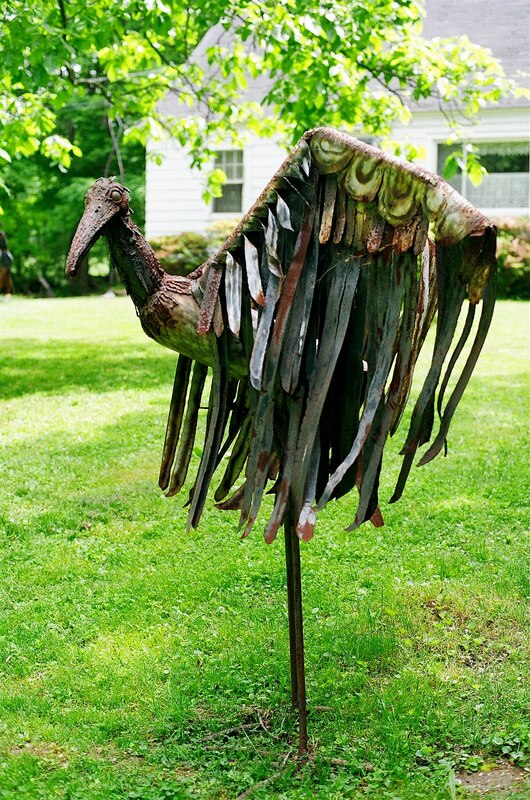 The Beverly Kaye Gallery, which appears to be in a rural setting, also has this cool blog. She writes: “Despite the bleak economy, the oil spill and the troubles in the Middle East, I am forging ahead and planning the 17th annual Sculpture in The Garden show. People need art, they need to see it, touch it, and experience it in a garden on a lovely day. So I have invited ten outstanding self-taught artists who use recycled materials to participate in this show.